Lots of things can be used to bag a wild pheasant, but just because something can be used hardly makes it desirable, much less ideal. My first pheasants were taken with a miserable little .410 SxS Crescent with a cut-down stock. It fit me, so it was usable, but the .410 bore is a miserable thing to use on wild pheasants. It isn't particularly valuable for anything that flies, for that matter. Crescent shotguns have not been made since 1931 and I'm quite pleased about that. In order for a shotgun to be my version of a pleasant pheasant gun, it has to weigh 6-3/4 lbs. or less. While I've taken more pheasants over the last forty-five years with 20 gauge models than anything else, the 12 gauge allows the use of so-called no-tox loads that are an unfortunate reality in some areas. Today, you can use Kent Bismuth #4 loads that are more affordable than Kent Tungsten-Matrix and Federal Heavyweight #7 loads, although either the Kent Tungsten-Matrix 1400 fps 1-1/4 oz. #5 load, or the Kent Tungsten-Matrix 1375 fps 1-3/8 oz. 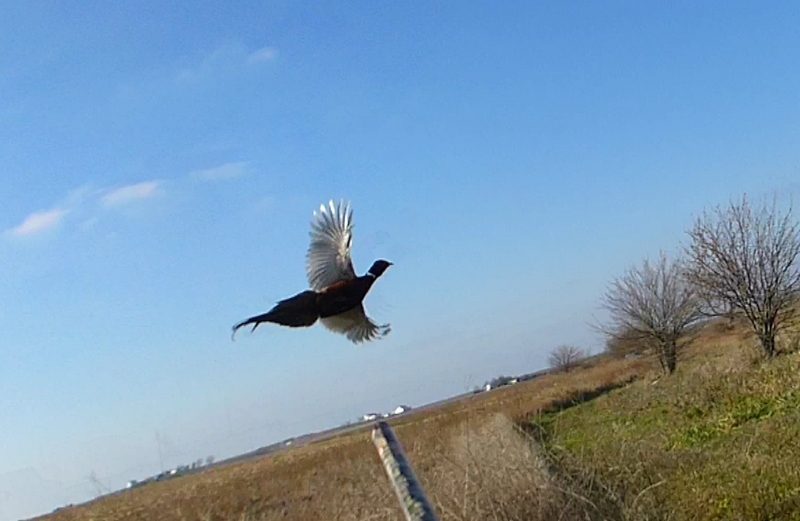 #5 load are the best choices for no-tox, wild pheasants. Pheasant hunting is hardly extreme high-volume shooting, and ammo cost isn't much of a factor. If you can use lead, by all means do so, and the Winchester Rooster XR 1300 fps 1-1/4 oz. 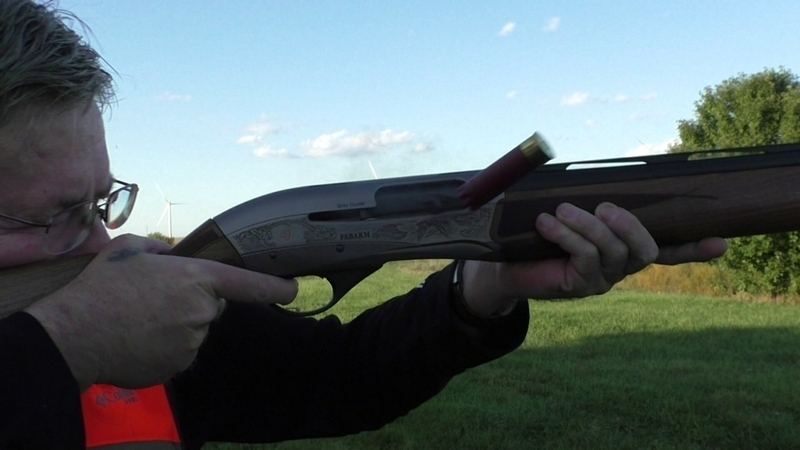 #5 load is the best all-around pheasant shotshell I've ever used. The 6-3/4 lb. weight limit leaves out a lot of autoloading shotguns. Of course, even a 6-3/4 lb. shotgun isn't 6-3/4 lbs. when you actually use it, for loaded weight puts them over 7 lbs. instantly . . . and that's the way we use them. Masai Mara 12 gauge inertia gun, walnut ($950 and up) 6 lbs., 11 oz. The Retay Arms Masai Mara, in walnut, is lighter than the synthetic stocked versions that do not quite qualify here, as they are just under 7 lbs. While the 26 inch walnut model that I tested had a matte finish, there are several options with polished blue and different receiver colors. The best looking models are polished blue with the oiled walnut. The Retay Arms has a few advantages in this group along with a few disadvantages. 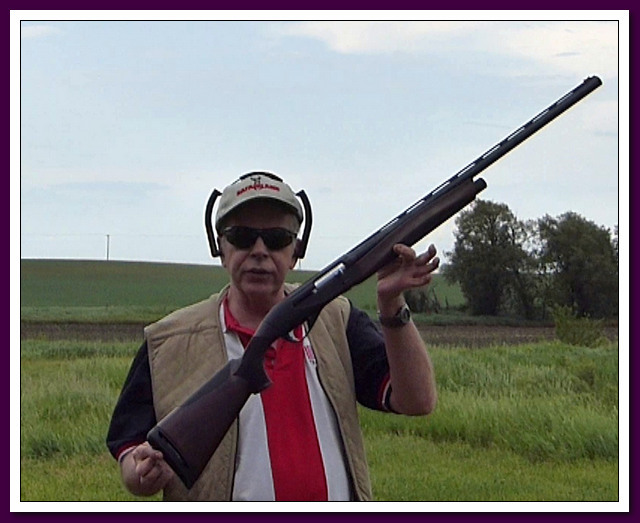 Made in Turkey, it is the best-looking shotgun for the dollar of the group. However, as the new kid on the block, aftermarket accessories are not yet available, although Trulock chokes should have Precision Hunter extended choke tubes available within a month or so. As the Masai Mara is new model, it does have easier loading and a larger than standard charging handle that inertia guns often do not have until their third or fourth generation. It handles one ounce loads capably, better than than the old standard of 1-1/8 oz. minimum for inertia guns ("Use 3 dram 1-1/8 oz. loads in all Benelli 12 gauge shotguns') but no lighter. In the recoil department, the Masai Mara is what you'd expect: it feels just like any other 6-3/4 lb. inertia gun with a good recoil pad. As always, there is a compromise between pleasant to carry and pleasant to shoot. For example, the Benelli Ultra Light is 6 lbs. 3 oz. as tested, but due to the light weight and poor recoil pad, it is brutal to shoot and that's why it isn't included here. The extra half pound of this Masai Mara, along with the comparatively generous recoil pad makes it a far more usable shotgun. Browning A5 Hunter inertia gun ($1200 and up) 6 lb. 8 oz. The Browning A5 Hunter is certainly light enough, but although I have hunted with it, it is a hard gun to love. The trigger is ridiculously heavy, the center bead needs to be removed so the front bead can be seen, the “Invector DS” choke tubes are miserably mis-marked, and so on. So, as far as I'm concerned, once you buy an A5 it takes some work to make it usable. The recoil pad is excellent, though, and unlike most Brownings that have no warranty, the A5 has a 100,000 round / 5 year warranty. Benelli Ethos 12 gauge inertia gun ($1800 and up) 6 lbs., 7 oz. I tested an Ethos with a black anodized receiver, but the engraved nickel receiver models are far more eye-catching. They cost a bit more, $1950 or so street price, but if you are willing to pay $1800, you'll find the extra $150 for a far better-looking gun easy enough to justify. My Ethos was plagued with an excessively heavy trigger (6-1/4 lbs.) and a ridiculously heavy 10 lb. safety that was difficult to get off. The progressive comfort recoil pad array gives excessive stock movement that is both annoying and distracting. Needing a trigger job, badly, and a safety re-working is hard to stomach on a $2000 shotgun. All of these shotguns have five year written warranties, except for the Benelli Ethos that has a 10 year warranty. With a MSRP of $2199 for the engraved nickel model and about a $2000 street price, the Ethos is difficult to recommend in this category, for although it is a competent shotgun in general, the poor trigger and poor safety isn't something that any consumer should have to deal with after enduring wallet-recoil of two thousand dollars. While a fine looking shotgun in engraved nickel, it isn't what it was hyped-up to be at all, and isn't remotely worth the nose-bleed price. Fabarm L4S 12 gauge gas gun ($1250 and up) 6-3/4 lbs. As the only gas-operated shotgun in this group, it is the softest-shooting and the L4S has a solid, steady feel. 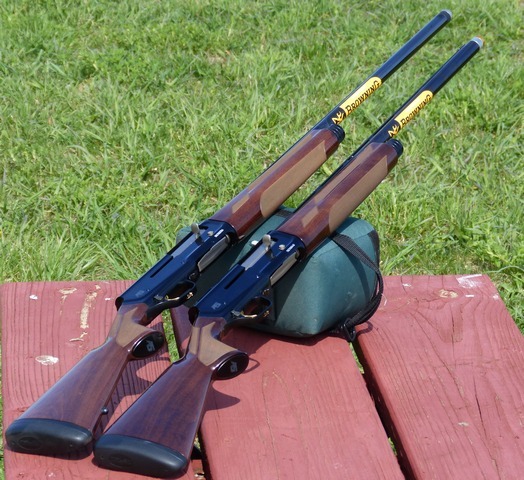 It is also the only shotgun in the group suitable for some clays duty as well as hunting, and all of the Fabarm choke tubes are rated for steel shot, including the “Full” and “Extra Full” tubes. The best autoloader on the market is probably the Fabarm L4S. It has the best barrels, drilled not struck, with the closest tolerances. They are proofed to the highest level (1630 BAR) in the industry and are the only CIP shotgun barrels that you can shoot steel shot out of with any constriction choke. 1630 BAR is about 23,641 PSI . . . double the chamber pressure of what most factory shotshells run. The L4S has extremely clean machining, with the internals generously chrome plated or featuring PVD coatings. Ir does away with the problematic mainspring and mainspring tube in the buttstock, the gun can be cleaned without disassembly, the forearm is not a stressed part, the barrel extension fits into the receiver perfectly without twisting or moving, and there is no stress of the forearm. The L4S cycles 5 rounds in .31 seconds. There are no valves or springs attached to the Pulse Piston. In the image above, the spent hull has barely cleared the ejection port, yet the following round is already chambered. Only the Masai Mara and the Browning A5 have alloy trigger guards in this group, and the Masai Mara's push-button quick release trigger is a cleaner, lighter trigger than either very poor Ethos or Browning attempts, yet not quite as crisp and light as supplied with the Fabarm L4S. Whether the “Bronze Pure” (shown above), “Greycon,” or “Comfort” models with oiled walnut, they are all stunningly good-looking shotguns. These top of the line Masai Models have a minimum advertised price of $1199, so I'll speculate you'll be able to get one for $1050 - $1100, or whatever the dealer chooses to sell it for. The 3 inch 12 gauge Browning A5 Hunter is an acquired taste: one that I have yet to fully acquire. With a street price of $1200 it is affordable in this class, while Browning does offer upscale models as well (A5 Hunter High Grade $1859.99 MSRP, A5 Ultimate $1989.99 MSRP). It is also lightweight enough, the lightest of the group except for the Ethos at 6-1/2 lbs. I had no reliability problems with the A5, nor with any of the guns mentioned here. If the Browning fits you, or just “speaks to you” you'll be happy as long as you don't mind a trigger job and a couple of aftermarket choke tubes as immediate things to rectify. The L4S Initial Hunter (called the Black Hunter in Europe) can be had for $1275 today (or a bit less) from https://www.colegun.com/ and other dealers. If you want more bling, the Grey Hunter is at $1730 MSRP and the Deluxe Hunter is at $2145 MSRP. It is 100% Made in Italy, the Fabarm Tribore barrel is drilled, not hammered, and proofed to 1630 BAR, a higher level than all other shotguns. The CIP “High Performance Steel” proof is 1370 BAR. Unlike most shotguns sold today, all the Fabarm choke tubes are rated for steel shot. The L4S shotguns are rare in the sense that they cannot be easily improved upon by using aftermarket chokes. The L4S crisp, 4-1/2 pound trigger is the best of the four shotguns covered here. Its simple gas system is a breeze to clean, as you need not disassemble the gun, just remove the forearm, to do an 80% level clean. The L4S is the softest shooting shotgun of the group, with no Pogo-stick feel as in the case of the Ethos. I wouldn't miss the opening day of pheasant season if I was forced to hunt with any one of these four shotguns. But, I'm not, and no one is. For the Benelli Ethos to be a competitive shotgun, the trigger has to be fixed, the buttstock needs to be a more conventional design with a good recoil pad, and the price has to drop by about a third. In its present form, it is paying far too much for far too little. The Browning A5 is at a good price point. The trigger, center bead, and factory choke tubes are annoyances that Browning could fix if they wanted to: apparently they don't want to. The A5 12 gauge receiver is excessively long, as the A5 was designed to be a 3-1/2 inch gun. As a direct result, the receiver is longer and clunkier than it needs to be for 3 inch shells and so is the shell elevator. Though not the subject of this comparison, the A5 Sweet Sixteen has a properly sized receiver and loads better and generally works better as direct result. The Masai Mara is the most pleasing of the inertia gun group, is the least costly, and has the most walnut for the dollar of all of these shotguns. The name of the game in American pheasant hunting is “be ready.” As a result, I never use slings and the sling studs that come with the Masai Mara on the buttstock and forearm cap are not wanted or needed. The build and finish quality is undeniable with the Masai Mara, and only the Masai Mara has an alloy trigger group and trigger guard. The Masai Mara is my top choice in an inertia pheasant gun and as a bonus, the premium oiled walnut Masai Mara models are eerily close to half the price of a nickel Benelli Ethos, with higher grade walnut and far better triggers as a bonus. Anytime you can save a thousand dollars and get a better finished product in the process, it should get your attention. 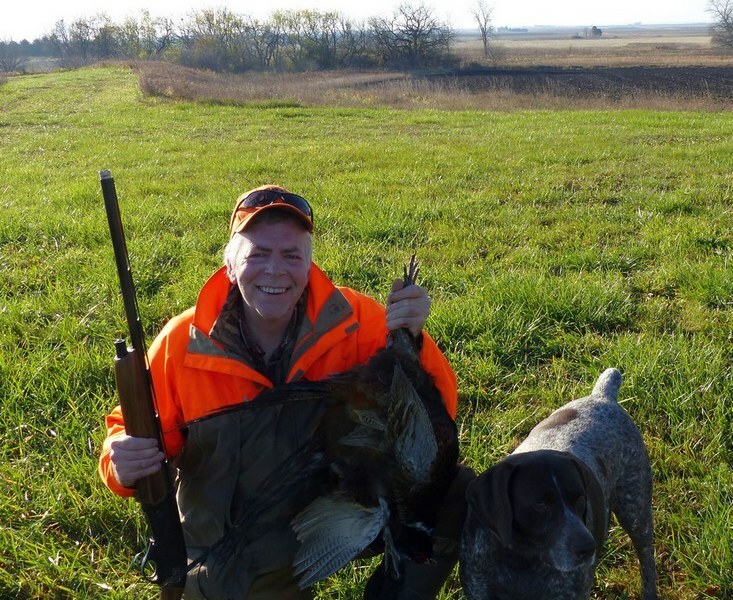 When the Fabarm L4S was released in 2015, it quickly became my favorite 12 gauge hunting shotgun and it has been dropping pheasants ever since. With Andrew and the talented group of Caesar Guerini USA / Fabarm USA gunsmiths and terrific customer service backing it, it is an easy choice for all upland hunting and is a lot of fun breaking clays as well. Nothing cycles faster and as the L4S is easy on the shoulder, nothing is going to send that second cackling evil Chinese rooster on its way down any faster than an L4S.